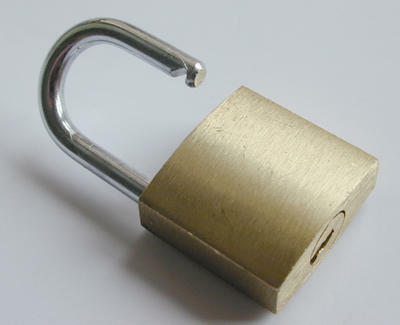 Durable 40mm (SHORT OR LONG)A389 padlocks are nickel-plated, double-locking weather- and rust-resistant. Heavy-duty casing with protective purple bumper features smooth-operating cylinder, spring-loaded, hardened-steel shackle, sturdy rivet construction and brass keyway. Includes two keys.